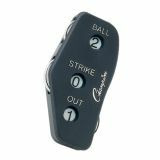 The 3 Wheel Umpire Indicator is the perfect companion to guarantee accuracy behind the plate! 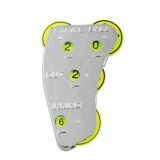 Made of durable plastic with optic yellow indicator wheels, this three wheel indicator counts strikes, balls, and outs and fits easily in your pocket. 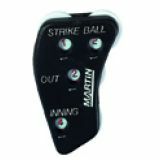 The 3 Wheel Oversized Umpire Indicator will guarantee accuracy behind the plate, with large numbers for easy reading! Made of durable plastic with 3 optic yellow indicator wheels, it counts strikes, balls, and outs and fits easily in your pocket. 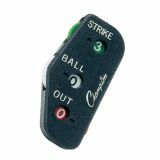 The 4 Wheel “Call Order" Umpire Indicator is the perfect companion to guarantee accuracy behind the plate! 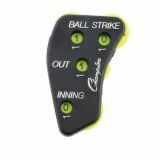 Made of durable plastic with 4 optic yellow indicator wheels, this indicator counts balls, strikes, outs, and innings and fits in your pocket. 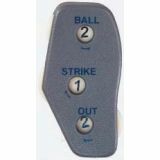 The 3 Wheel Umpire Indicator is the perfect companion to guarantee accuracy behind the plate! 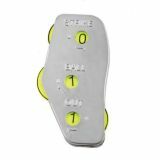 Made of stainless steel with optic yellow indicator wheels, this three wheel indicator counts strikes, balls, and outs and fits easily in your pocket. The 4 Wheel Umpire Indicator is the perfect companion to guarantee accuracy behind the plate! 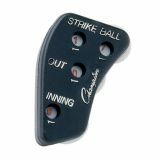 Made of stainless steel with four optic yellow indicator wheels, the indicator counts strikes, balls, outs, and innings and fits easily in your pocket.